1. How long does it take to manufacture and deliver the solar screen kits and/or roll up shades? We process all orders in 2-5 business days (2-3 business days for screen kits and custom fabric; 4 business days for roll up solar shades; 1 business day for non-custom accessories like brick clips). Most orders ship Priority Mail by the Post Office (Roll Up Solar Shades ship via UPS). 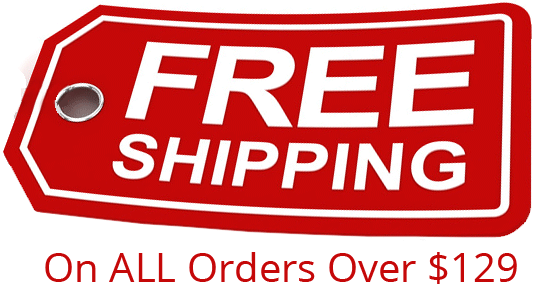 We ship from Texas, so you will receive your order within 1-4 business days after shipment (depending on how far away you live from Texas). 2. Do you do arches or other custom shapes? Not anymore. Arches and custom shapes can be very expensive to ship and they often get damaged during shipment, so we only make custom solar screen kits and fabric that are rectangular-shaped. 3. How do I know what mounting method works best for my windows? Please visit our How to Measure and Install page to get an overview of the various mounting methods/hardware and to learn which will work best with your window type. We also have this handy dandy flowchart to help you determine which mounting method is best for you. 4. How do I install the crossbar (or where can I get instructions on how to assemble the solar screen with a crossbar)? Please visit our How to Measure and Install page and click on the Solar Screen Assembly section to reveal all the info in that section. You'll find a video, but directly above the video, click the Download Printable Instructions (pdf) link to...wait for it...download printable instructions! Additionally, below the video, you'll see detailed step by step instructions on how to assemble the screen with a crossbar. 5. Can you give me a price for ________? Yes! All our pricing is online. Just visit the Shop Our Products section, click on the product category (like Solar Screen Kits w/ Frames), then click on the product you are interested in. Read through the description, then SCROLL DOWN until you see a form where you can enter in your sizes, color options and mounting hardware. The price next to the form will auto update based on the selections you make. 6. What is the difference between the 80% and 90% solar screens? 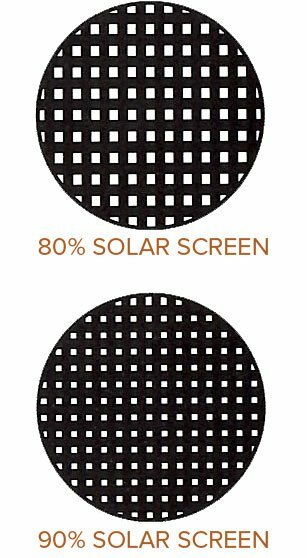 Phifer Suntex 90% screens have a tighter weave than Phifer Suntex 80% solar screens. This tighter weave blocks more of the harmful UV rays that heat up your home and damage your drapes and other furnishings. Suntex 90% solar screens have slightly less visibility, but you can still see through them fine. Most of our customers prefer the 90% solar screens for their windows and other applications. See a close up comparison here. 7. What are the mounting options for the frameless solar screen fabric? Frameless solar screen fabric can be mounted to the window using either suction cups or 3M Dual Lock pads. We provide you with the requested number of suction cups, as well as small pins, so you can position the suction cups where you need them and secure them with the matching pins. 3M Dual Lock pads are like extra strong velcro. They are clear, so they match any screen color, and they are specially formulated for exterior applications in high wind and temperature climates. See our mounting options page for photos and more info. 8. Can I attach frameless solar screen fabric to my sliding glass door? Yes. We recommend using 3M Dual Lock for this as the engaged thickness of the 3M Dual Lock and screen is only about 0.25 inches. Be sure you have enough clearance when your glass door slides to allow for the 1/4 inch clearance. The thickness of an engaged suction cup is about 1/3 inch. 9. Does the frameless solar screen fabric fray after it is cut? Phifer, the solar screen manufacturer, specifically designed Suntex solar screen so that the edges do not fray. You may notice some light colored fibers along the edge of your screen. We do our best to make sure none of our screen fabric ships with these fibers, but if you see it, you can easily trim the fibers off and rest assured the screen will not fray. 10. Can the solar screens be easily cleaned? Yes, they only need an occasional cleaning with mild soap and water. They are also mildew and fade resistant. 11. How is airflow affected when using solar screens? While airflow is diminished compared with standard insect screens, solar screens still allow good airflow. 12. Do solar screens still provide protection from insects? Yes. Solar screens protect against insects and can replace regular insect screening on windows, doors and porches. 13. Do I need to remove the solar screens in the winter time? To protect carpets, drapes and furniture from damaging UV rays, solar screens should remain in place even during cooler months. However, if passive solar heat gain is desired in the winter months the screens can be removed and stored until springtime. 14. Is one color of solar screen better at reducing heat and light than another? All colors provide significant heat reduction when installed on the exterior but dark colors are better at reducing glare and improving outward visibility. 15. Do your solar screens carry any certifications? Yes! Phifer Suntex solar screens are Greenguard Certified and Microban certified. GREENGUARD is an indoor air quality certification program for low emitting products. GREENGUARD tests products’ chemical emissions by evaluating over 75,000 chemicals, including volatile organic compounds, carcinogens and reproductive toxins. All Exterior Sun Control fabrics are GREENGUARD certified. Microban antimicrobial protection is infused into SunTex fabrics to inhibit the growth of bacteria, mold, and mildew. 16. Do any of your products come with a warranty? 17. Do the solar screen kits come fully assembled? The screen kits are custom cut to the exact measurements you provide. They ship un-assembled to save on shipping costs and reduce the possibility of damage during shipment. Assembly and installation is simple and straightforward. Our website has really good videos and photos with explanations on how to assemble and install. The average screen size can be assembled and installed in about 20 minutes.